KRUPT (AUS) (Chestnut 2005-Stud 2010). Winner at 2, STC Todman S., Gr.2. Half-brother to SW Anevay. Sire of 60 rnrs, 25 wnrs, inc. SP Cashed, Trupt and of Termele, London Lady, Nardoo, Electric Tribute, Oh So Unfair, Quantrill, Skulduggery, Zinging, Mr McBat, All Krupt, Veselka, Yang Jiang Power, Rebel Miss, Balycastle Pegasus, Jen See See, Lilly Rush, Machu Picchu, Spare Parts, Grasp, Island Jewel, Paravidya, Pork Crackling, Rosie's Dream, etc. Termele (f. by Krupt). 3 wins. See below. Silent Partners. 2 wins at 1000m, 1200m in Aust. Courting. Placed at 3 in Aust. Silent Queen. 2 wins. See above. Windfalls. 6 wins from 1000m to 1600m in Aust. Gooloo Creek. 5 wins at 1200m, 1400m in Aust. Transvista. Winner at 1000m in Aust. Ringwood. 3 wins to 1100m in Aust. Chunma. 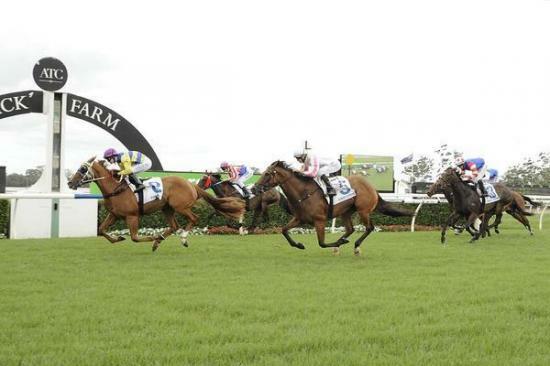 3 wins at 850m, 1200m in Aust. Romantic Opera. Winner at 1000m in Aust. Producer. Art's Victory. 14 wins from 1200m to 1600m, AJC Baltic H., Martello Towers H. Sire. Zodiac Star (Victory Prince). 6 wins-2 at 2-to 1200m, A$189,285, AJC St George Leagues Club 2YO H., Westminster H., Oneworld Circle Pacific H., STC Victor Sports P., 3d STC Satellite S., L, Civic H., L.
Eros (Switch in Time). 6 wins to 1400m, S$358,685, M$12,800, Singapore Magic Millions Classic S., Singapore TC Benchmark 90 H., Benchmark 81 H., 3d Singapore Guineas, Sgp-3, Singapore TC Class 1 H., 4th Singapore TC Kranji Mile, Sgp-2. Devon Blaze (Devorant). 5 wins from 1000m to 1600m, TTC Engineering H., Marine Insurance H., Mike King Pty Ltd H., 2d TRC Elwick S., L, 3d Tasmanian Derby, Gr.3, MVRC R.V. Moon H.
Timdean (Natski). 6 wins from 1600m to 2150m, TTC Members H., Members Reserve H., Eski H., 2d TRC Brighton Cup, Cadbury H., 3d Tasmanian St Leger, L.
Race Record: 11 Starts 3-4-0 A$79,935. 3 wins-1 at 2-at 1000m, 1100m, A$79,935, to 2015-16, ATC Pro-Ride H., 2d ATC McGrath Estate Agents H.